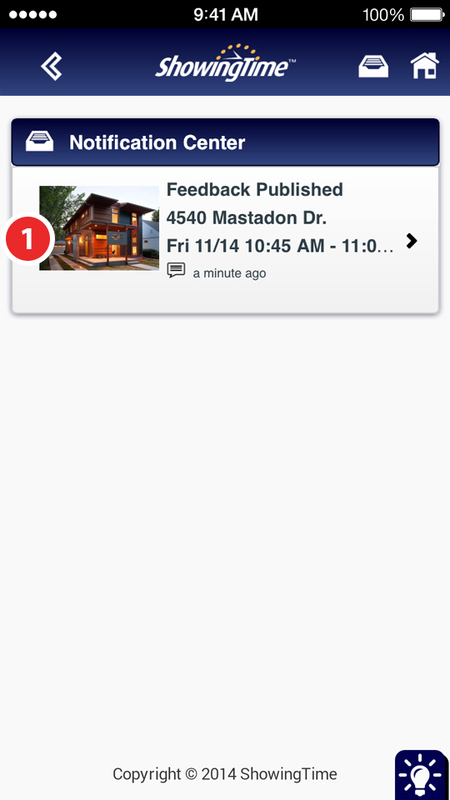 Feedback can be accessed after the feedback has been submitted via the notification center. If you are trying to access the feedback after the notification has been dismissed then follow the steps below. From the home screen tap on On My Listings, underneath the Feedback section. Tap on the listing that you want to view feedback on. Then tap on the feedback you would like to view. Feedback can be managed and sent to the owner from this section. 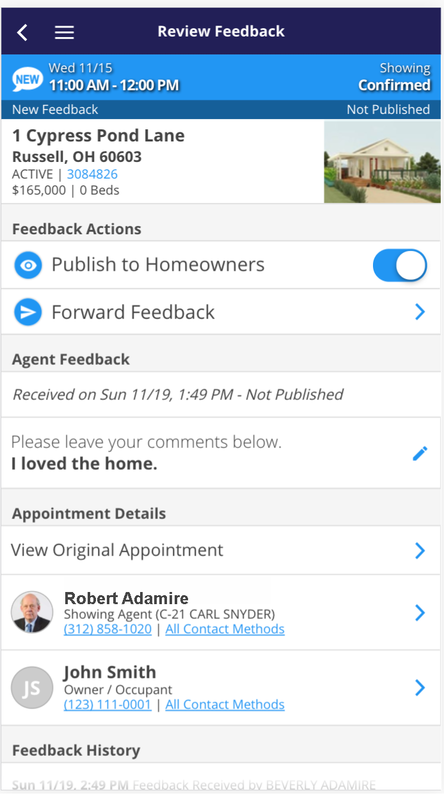 The action button under the Listing Activity Report has options to publish the feedback for Agents and the Homeowners or just Agents. 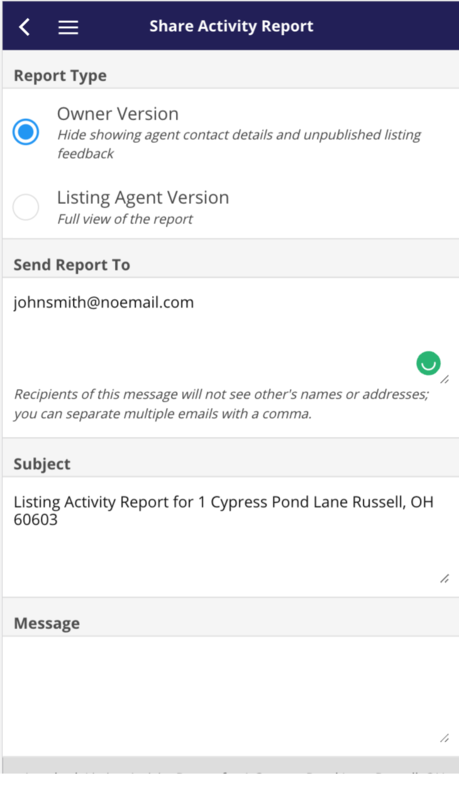 A copy of the feedback can also be sent to any homeowner associated with the listing or any other contact by selecting that contact or manually entering their email address. You can choose to publish the feedback quickly after you have reviewed it. Publish to Homeowner - Toggling this, will send the feedback to the owner. 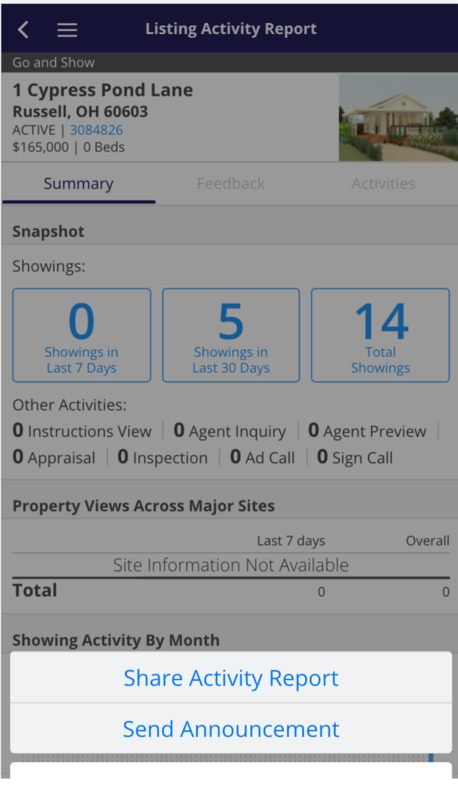 They will be able to view it on their app, or listing activity report immediately. 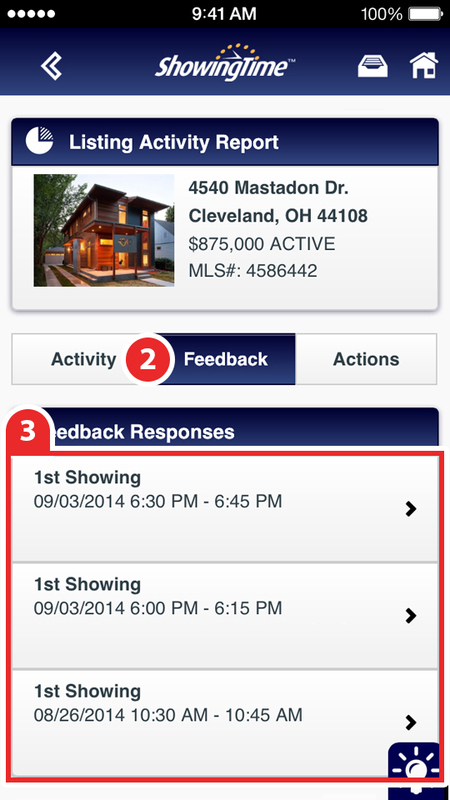 Forward Feedback - You could also simply forward the feedback to the owner or to another person. Please note: Some feedback may not be appropriate to send immediately. We recommend that you review the feedback prior to sending. You will receive a feedback request via push notification or email. Tap on the notification from the Notification Center. Tap on the Click to Give Feedback button. Choose the listing you showed. Tap on the received feedback notification. Tap on Feedback from the Activity/Feedback/Actions menu at the top. Tap on the feedback you would like to view. How can I tell the seller I am done? How to use the ShowingTime App with your Master Lock lockbox. How to use the ShowingTime App with your SentriLock lockbox.